Subway tile has a long history as a durable wall surface in the United States, especially as a ceramic subway tile backsplash. These simple, rectangular tiles are typically set like bricks in a running bond pattern. They have the same type of traditional elegance as bricks. This elegance never goes out of style. They were introduced in the New York City subway system in 1904. This is when they gained a name and an appreciative audience for their timeless design. These simple tile designs have been a popular wall covering in bathrooms and kitchens in the residential home as a ceramic tile for backsplash. They are easy to clean, just like their predecessors in the subway systems. They also offer versatile durability. 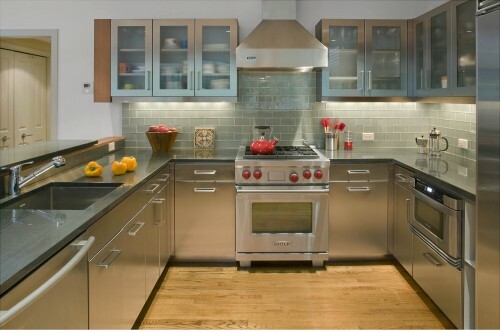 If you choose ceramic tile for kitchen backsplash, you will make a solid design choice. This choice will serve you well for many years in Brooklyn. 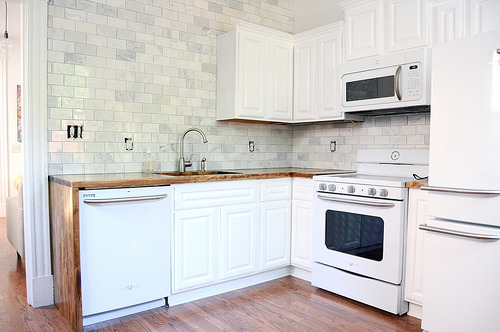 A white ceramic tile backsplash with subway tile is a popular choice. It is a contemporary wall covering. 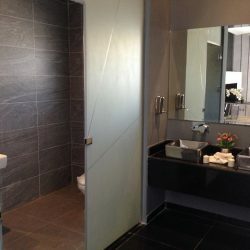 Homes, hotels, and restaurants include them in their modern designs as ceramic tile for backsplash. They are traditional, but new materials, colors, and textures can update this classic look. This will give them a fresh, modern design. Materials such as stone and glass in updated colors add elegance to a modern Manhattan apartment and a ceramic tile backsplash kitchen. For example, instead of ceramic tile for backsplash, Home Art Tile’s collection of beautiful glass, ceramic and stone subway tiles provides a colorful, updated look. There is a palette of natural colors in the ceramic tile backsplash kitchen. A classic white ceramic tile backsplash may seem like a basic design for your kitchen. That is not quite true. Ceramic tile for kitchen backsplash provides a simple look when you pair it with high-end countertops, cabinetry, and modern fixtures. This look can be accessorized with style. Clean, simple design of a ceramic subway tile backsplash won’t compete with other elements of the room. It will allow you flexibility with the wall color, cabinetry, flooring, and countertops. Choosing ceramic tile for backsplash is a practical choice with a white ceramic tile backsplash. 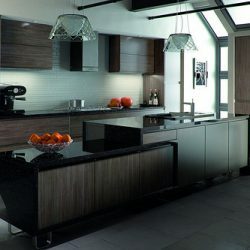 Many ceramic tiles for kitchen backsplash designs are seen as the focus of a kitchen. By installing white ceramic subway tile, you can place the focus on other kitchen elements. 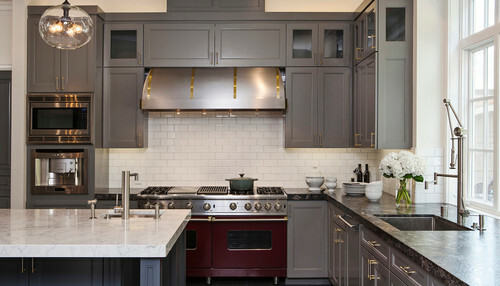 Magnificent stove hood, an inspired faucet fixture or ornate architectural details get the most of the attention. A traditional white subway tile pairs especially well with modern chrome. This look perfectly blends elements of vintage style and chic kitchen design when you choose ceramic tile for a kitchen backsplash. A white ceramic tile backsplash is a choice that is easy to make. It will provide many years of enjoyment in your Queens apartment. White ceramic subway tile does not need to end at the backsplash or shower enclosure. It is especially beautiful when used as a wall covering which stretches from the floor to the ceiling. It is easy to maintain and clean. It will accommodate your decor tastes which may change over the years. If you decide to sell your home in the future, it will appeal to prospective home buyers as a neutral design choice. The fireplace is an element that is also perfectly suited to subway tile. It is always effective, whether it is set in the classic running bond brick pattern, or updated to a small glass mosaic subway tile. Subway tile celebrates the traditional elements of a fireplace while updating it to reflect current design trends and modern style. This simple design choice allows you to pair fireplace subway tile with your ceramic tile backsplash in the kitchen.